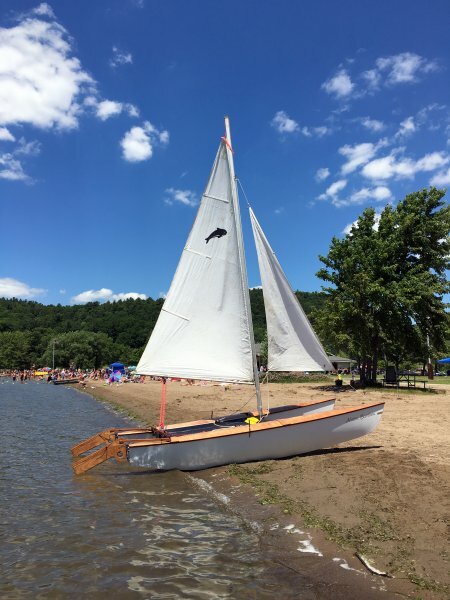 Morgan Sheasby built this sailing catamaran over 18 months in shop in Brooklyn, New York. ALICINA BAMBINA is a Pixie design by Richard Woods available from www.sailingcatamarans.com or The WoodenBoat Store (www.woodenboatstore.com). 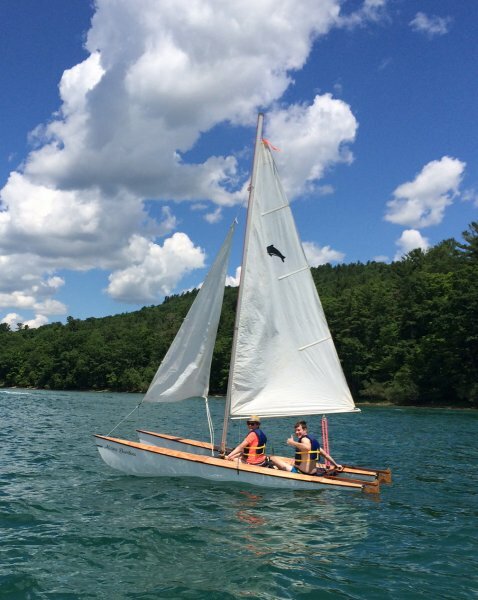 He launched her last July and named it after his wife, Alison. 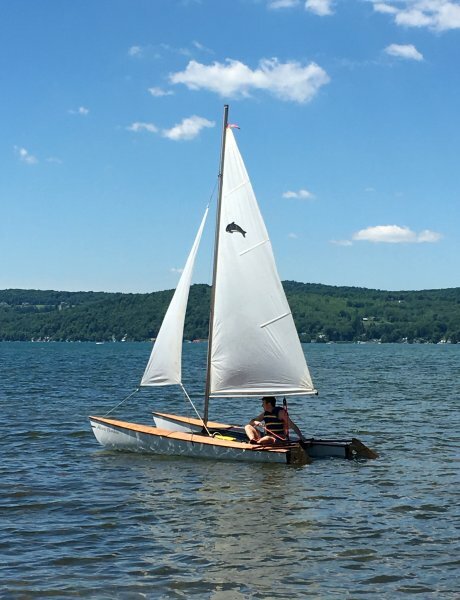 They sail on Lake Otsego in Cooperstown, New York. Alison Corrie took the first three pictures here. Megan O’Neill took the last one. 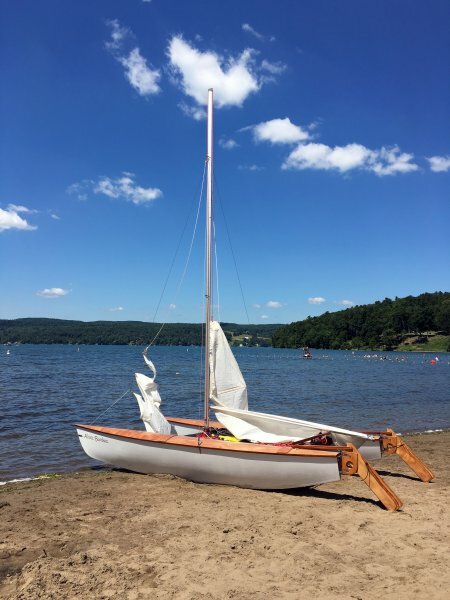 Lake Otsego in Cooperstown, New York.